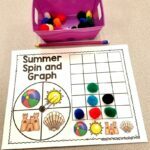 These ocean subtraction puzzles are the next best thing to spending the day at the beach! 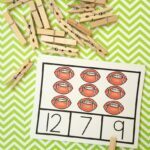 Students will love the challenge of matching up the problems and solutions and you’ll love the quick and easy prep. 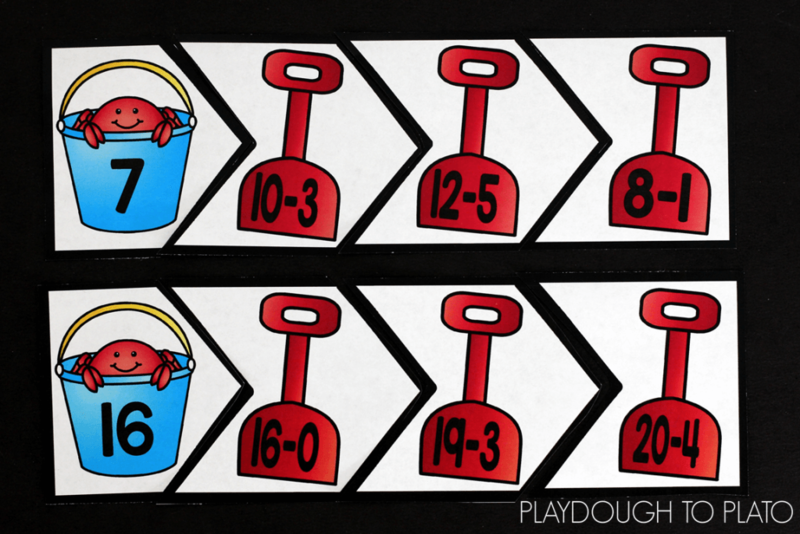 To prep, I printed the Beach Time Subtraction Puzzles (below) on cardstock and laminated them for extra durability so that they could be used year after year. Once I finished laminating them, I cut them out. I found it easiest to use a paper trimmer to cut around the outside border of the puzzles first. 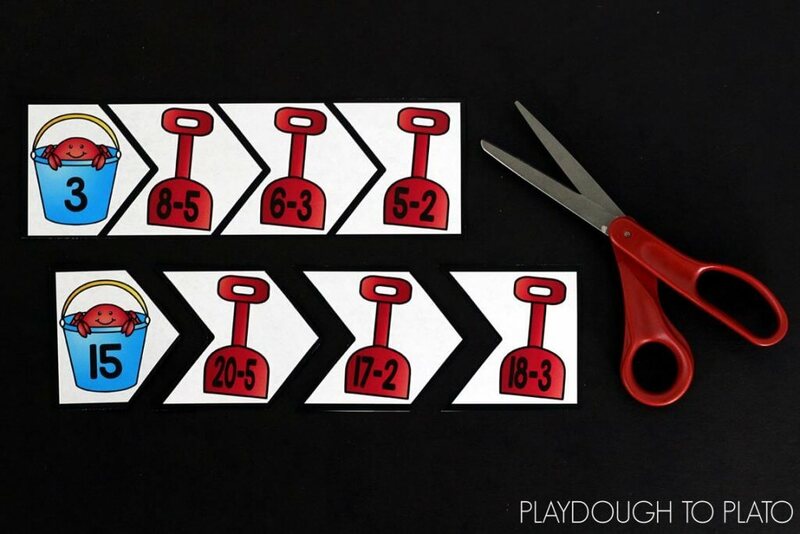 Then I went back and cut out the individual pieces of each puzzle with scissors. 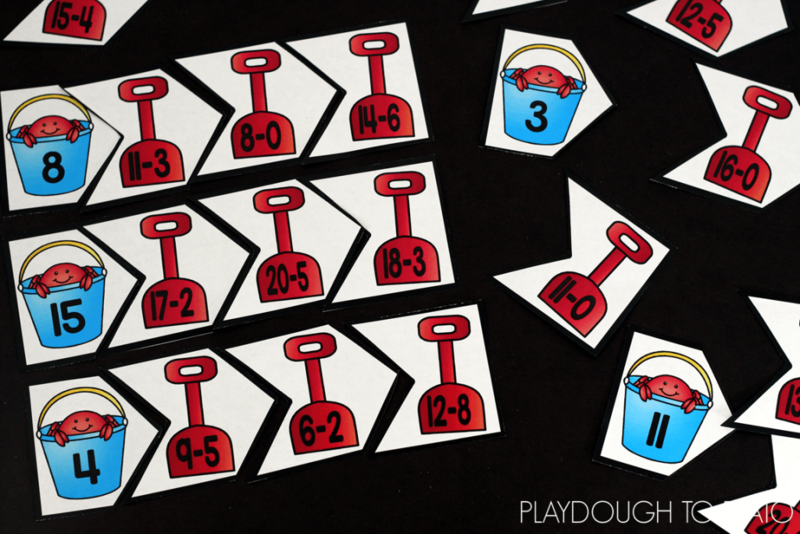 The set contains 20 different puzzles, covering numbers 1 to 20. 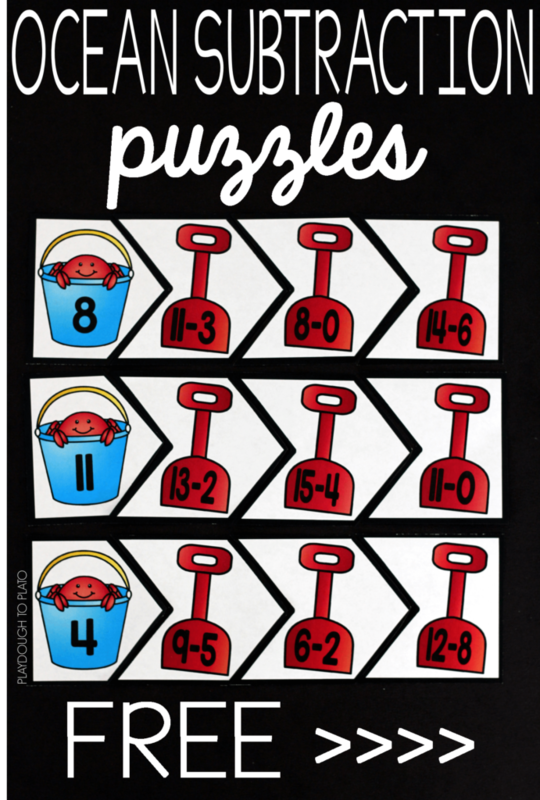 Each puzzle contains four pieces: one piece identifies the number and the others have subtraction problems that equal that number. 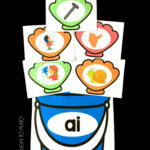 Students start the activity by placing all of the puzzle pieces on a table or the floor. 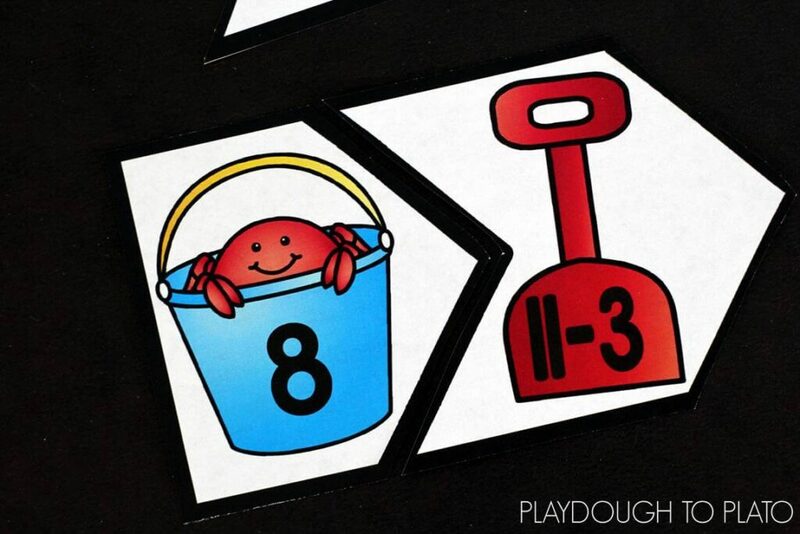 They choose a beach pail number puzzle piece first. 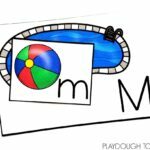 I always encourage my students to say the number out loud. 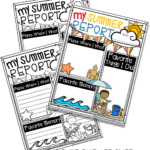 If your students are younger, you can have them trace the number with their finger. 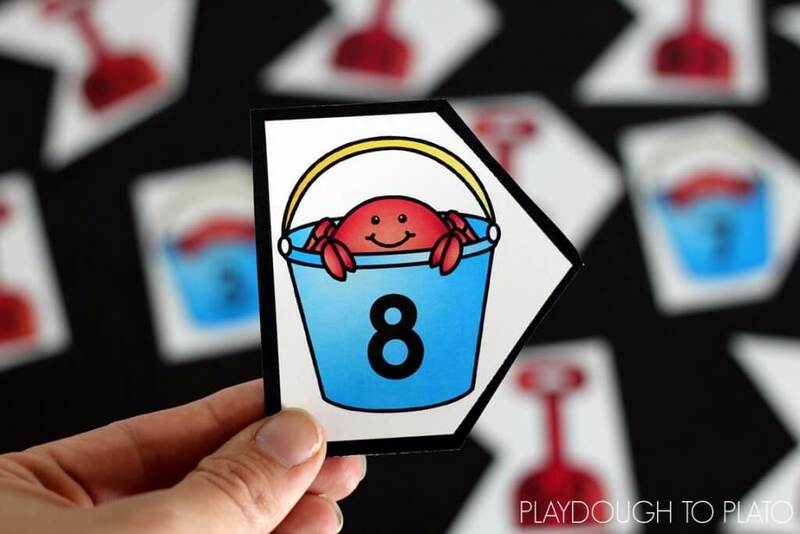 This student chose the number eight. Students then sorted through all of the pieces, trying to find the subtraction problems that equaled eight. They continued searching for matches until there were three shovels with the pail. When they were done, they pushed the puzzle to the side and continued until all 20 puzzle pieces had been paired. 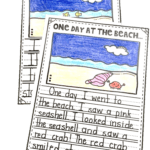 One of the things I love most about this center is that it can easily be adapted to fit the needs of your own students. 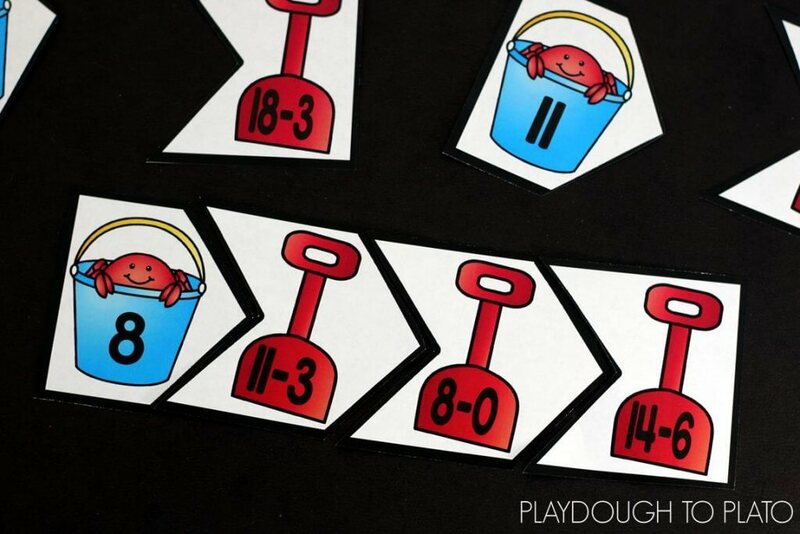 If your students only know the numbers 1 to 10, then only include those puzzles. 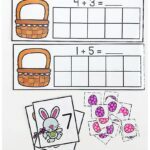 If you only want to focus on numbers 15 to 20, provide your students with those puzzles. 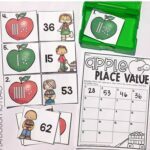 If having three subtraction problems for every number is overwhelming for children, you can easily give them two piece puzzles to complete. As they master those, then you can slowly add in more. Ready for your free set?! 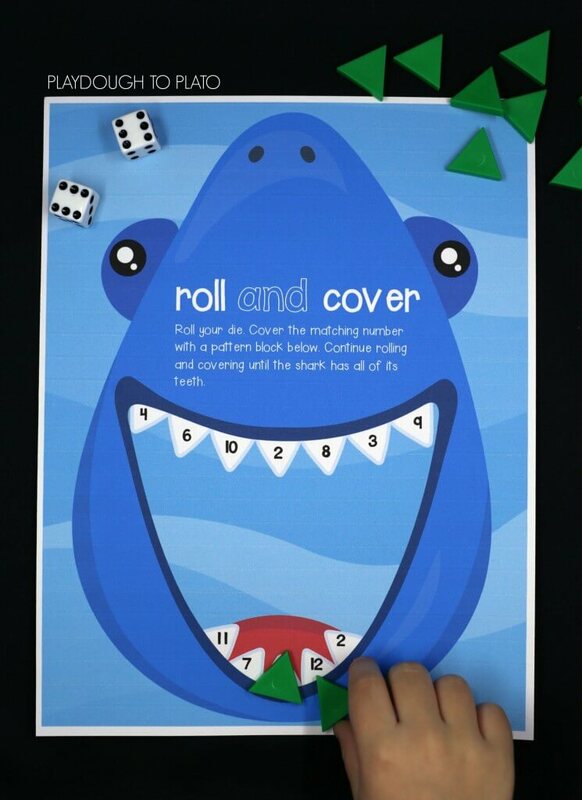 Click the blue download button below to grab your puzzles now and then hop over and snag our roll and cover shark game too!